First Lieutenant Gregory J. Figulski served in the United States Air Force as a member of the 782nd Bombardment Squadron in the 465th Bombardment Group of the Fifteenth Air Force. During World War II, Mr. Figulski's heroism and bravery in the face of intense opposition earned him the Distinguished Flying Cross and now has earned him a place in the Soldiers & Sailors Museum's Joseph A. Dugan Jr. Hall of Valor. He was inducted on March 28, 2010. "Awarded the Distinguished Flying Cross for extraordinary achievement while participating in aerial flight against the enemy in the Mediterranean Theater of Operation. Throughout long and hazardous combat missions against vital strategic Targets deep in enemy occupied territory, though confronted by heavy enemy opposition from highly aggressive fighters and intense and accurate antiaircraft fire, 1st Lieutenant Gregory J. Figulski consistently displayed outstanding courage, aggressiveness and intense devotion to duty throughout all engagements. With the aircraft frequently and severely damaged by heavy enemy fire, Figulski has courageously remained at his station, battling his way through to the targets to aid materially in the utter destruction of vitally important enemy installations and supplies. Heedless of severe and adverse weather conditions encountered over rugged mountainous terrain and surmounting many other major obstacles that faced his crew during hazardous missions, Figulski has gallantly engaged, fought and defeated the enemy with complete disregard for his personal safety and against overwhelming odds. The conspicuous and extraordinary achievements throughout these many missions against the enemy have been of inestimable value to successful combat operations and have reflected great credit upon himself and the Armed Forces of the United States of America." First Lieutenant Figulski also had the honor of being apart of the crew that flew the V Grand (a.k.a. 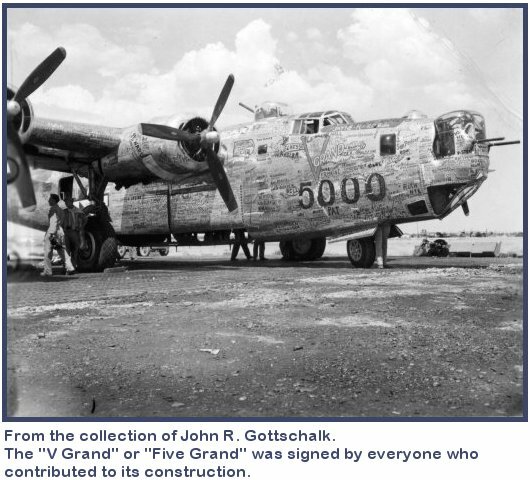 the Five Grand), the 5,000th B-24 Bomber to roll off the assembly line, to combat action from Long Island, NY to Italy. This unique airplane was signed by every worker who touched it and was used in the Mediterranean Theater during World War II. Mr. Figulski and his wife of 65 years, Livia, now reside in Montana. Livia and Greg grew up only one block from each other in Turtle Creek, a small town on the east end of Pittsburgh. He was Polish but she was Italian and, like many Pittsburgh couples, they blended both cultures and foods to make their own. There is one tradition he will not waver on - Mr. Figulski insists to have kielbasa and nut rolls for Easter. With our help, he is able to get his hometown, ethnic tastes delivered to his door for the holidays. We are truly grateful that he prefers to order from us, and are deeply honored to serve this great American. We truly love to hear about our customers! If you have a great story to share with us, please send us your information to blog@polishpierogi.com. We would love to make you our next customer spotlight!